Click photo above to see 2014 PAN Classic USATF Grand Prix photos! 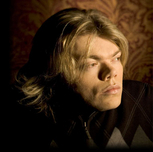 Justin Hines has been given the ability to share his voice and music with the world all the while confined to a wheelchair ...which certainly hasn't limited him! Justin has Larsons Syndrome which is a rare congenital condition. He spent the first 5 years of his life in a hospital and continues to be challenged daily with the efforts required to navigate through his life. His story is one of hope, overcoming seemingly impossible obstacles, and ultimately, turning one's dreams into reality. Justin has performed at the Luciano Pavoratti Theater in Italy, the Bejing Olympics, Nokia Theater, The Kennedy Center, and with a multitude of other wonderful venues and artists. Now, he has the opportunity to give back to the community. Whether he is performing his music or simply speaking to an audience, Justin Hines consistently captivates and inspires those around him. Justin has partnered with Pledge Music to help fund his costs of the Vehicle of Change Tour. Click link below if you would like to help!